That’s right, we said goats! Anasazi Animal Clinic is a pet clinic near you (serving Gilbert, Chandler, and Mesa AZ), and we love every kind of animal—especially your Fido and Fluffy! Being that we’re located in Gilbert, we’re surrounded by no shortage of suburban farms. 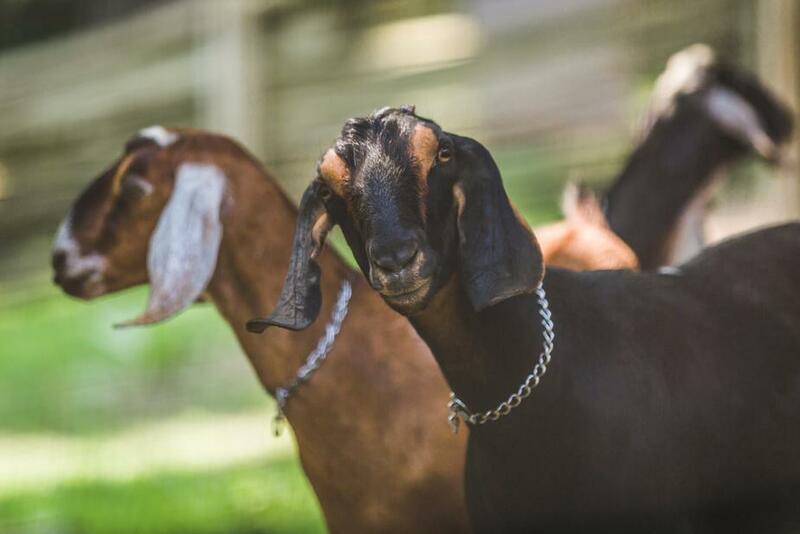 Some of these farms have taken to offering goat yoga. But why, you might ask? Releases an automatic relaxation response. Slows breathing in those who are anxious. Arizona Goat Yoga, located in Gilbert, AZ, is “Passionate about spreading joy and love throughout diverse communities, with the fun and healing laughter of Arizona Goat Yoga.” They offer fun-themed interactive experiences like “Hawaiian Goat & Hedgehog Yoga,” for only $15. If you ask us, that’s a bargain! Visit their online calendar to book a class with your friends in advance: they tend to sell out quickly! And when you’re looking for a trusted and compassionate pet clinic near you, drop in or schedule an appointment with us at Anasazi Animal Clinic. We promise to treat your pets with as much love and care as we do our own.